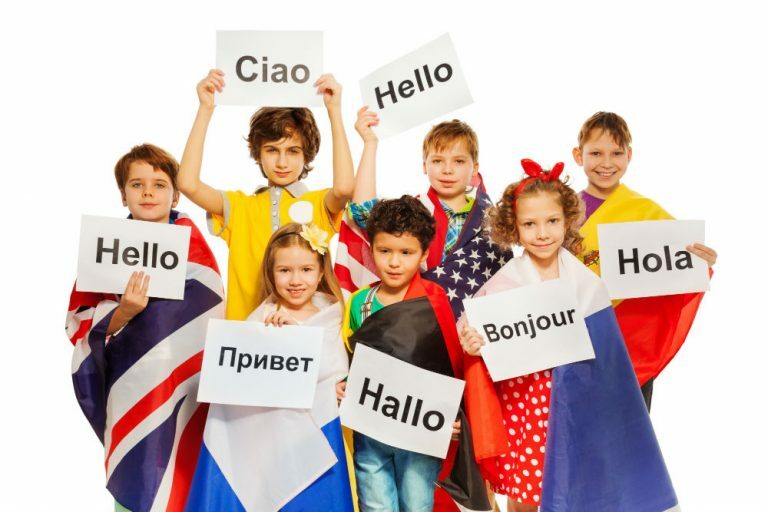 What If My Internationally Adopted Child Doesn’t Speak English? When we first began our journey into international adoption, my husband and I were excited. The chance to welcome a child and a country into our home was very appealing. But then we were hit with the reality of parenting a child who would not speak English. When we first met our son, his only language exposure had been to Mandarin. Though he was just shy of two he was already babbling a few phrases – none of which we could understand. I thought back to my days teaching ESL and tried some of my old communication techniques. A poll of several internationally adoptive families and months later, we found a few practices that worked for us. Regardless of the age of your child, sign language is another great form of communication. We used the book Sign with Your Baby to establish early interactions with our son. It’s important to remember the trauma internationally adoptive children have experienced, and are experiencing, upon placement. There were times when our son would get so frustrated and upset he was unable to speak. Basic sign language gave him the ability to communicate with us, and for us in turn to respond. This may sound nuts, but everything you’ve heard about limiting screen time? Throw it out the window. As an ESL teacher of over 10 years to students from Poland to Senegal to Colombia, I can say one of the best ways to learn English is to hear English. And what better way than through television and videos. Depending on the age of your child, you may choose different devices. At 2 our son wasn’t too into watching cartoons yet, so we used a Leapfrog. Our son would push a button and a cat would appear and the device would say “Cat.” Very basic, but it lay the foundation for language. Though it may sound counterintuitive when working with an 8-year-old, think back to everything you did (or would have done) with an infant. You sing songs, you read simple board books, you offer a running commentary of your day. Exposure to language begets language. When we first came home, at every waking hour I narrated what I was doing. “Mommy is making breakfast, mommy is getting a plate, mommy is feeding you eggs. Jack likes the eggs.” We also sang a lot of songs. Singing is a proven way to dramatically improve language learning because you’re appealing to different areas of the brain. And kids like to sing! Plus, it’s a wonderful way to foster attachment. One of the questions asked on almost every home study is, “What resources will you have available when you bring your child home?” For us, it had been months since I wrote those answers but I found my local early intervention office and made an appointment. Under the federally mandated Individuals with Disabilities Education Act (IDEA), “A child suspected of speech delays is eligible for a publicly funded evaluation.” That means you have the right to have your child evaluated for speech, and often hearing and other gross and fine motor skills. If you child is found to be in need of treatment, there may be several programs available – both at school and/or in the home. Private, licensed speech-language pathologists are always an option, but it’s best, and more economical, to start at your local county level. Language learning, like any skill, takes time. When internationally adoptive children first come home, not only are they navigating the hurdle of language, they are grieving, adjusting, learning new customs, and learning a new routine. It can be overwhelming, but if you are patient you will see your child blossom in front of your eyes. And then if they’re anything like my son – soon you won’t be able to get them to stop talking!